Wanna sell some Aggie memorabilia? Have some tickets to sell or give away? Here is the place to do it. 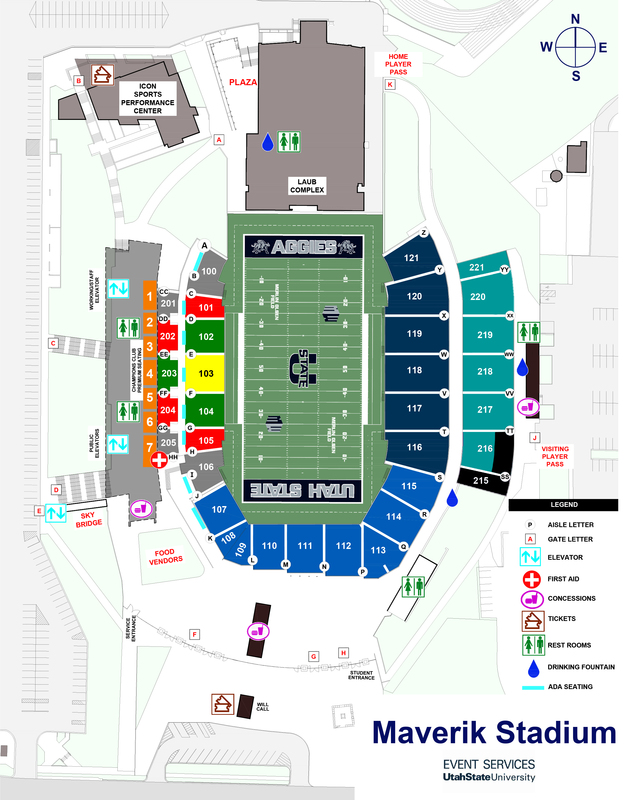 Has anyone found an official updated seating chart? aceofspadeskb wrote: Has anyone found an official updated seating chart? Is anything really changing? The first 10 rows of the SEZ might be getting chairs but the sections are all going to remain the same. Assuming you're right, that answers my question. The donation levels are changing for sections 3-7. This is on another thread here somewhere. Typed on my phone with likely several incorrect autocorrects. You should photoshop words in the endzones. Here's the latest (2016) seating map. There's a 2D version on page 11 of the Donor Guide (http://grfx.cstv.com/photos/schools/ust ... rGuide.pdf), but every effort to capture it through acrobat has given me less-than-ideal results. Does anyone have the adjusted seating capacity?